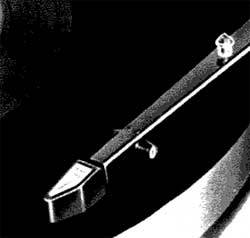 Replacement cartridge for the M12 and M16 tonearms allowing playback of 78rpm records. Cartridge is of the plug-in type and can be readily removed and replaced. The M2 has a 2.7 mil radius stylus bearing the model number N2, is 1/2 gram heavier than the M1 and can be used with a needle load of 2 to 3 grams. Shure M2 / M-2 owners manual, service manuals and schematics are for reference only and the Vinyl Engine bears no responsibility for errors or other inaccuracies. The PDF files are provided under strict licence. Reproduction without prior permission or for financial gain is strictly prohibited. This website is not affiliated with or sponsored by Shure.